How Much Does the 2018 Honda Clarity Plug-In Hybrid Cost? How Many MPG Does the 2018 Honda Clarity Plug-In Hybrid Get? 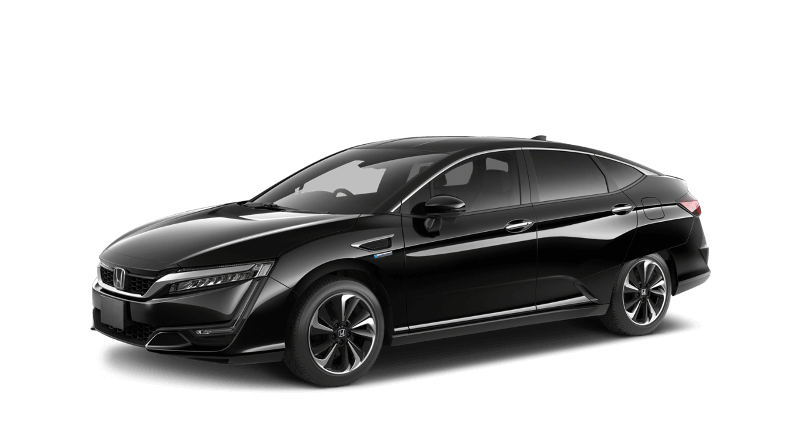 What’s New for the 2018 Honda Clarity Plug-In Hybrid? Reduce your gasoline consumption: Clarity provides an all-electric model with 89 mile EPA range rating***. For many commuters, this is more than enough to completely avoid gasoline usage. You need only fill the tank if you are going on a longer drive. Seating for five: The cabin is sophisticated and roomy, with plenty of space for each occupant. It is constructed with eco-friendly materials that help reduce your carbon footprint. Some competitors seat only four and provide less total passenger space. Tax savings: You earn a tax credit of up to $7,500 thanks to federal tax credit programs. State benefits: Your state might offer HOV lane eligibility for faster commutes and rebates on car chargers for immediate cash savings. Clarity Plug-In is motivated by a 1.5-liter 4-cylinder gasoline engine and two electric motors that together deliver 212 horsepower and 331 lb-ft of torque. You can select from Normal, Econ, Sport and HV drive modes to contour the car’s performance to your immediate needs. While cruising in HV Mode, the gasoline engine and one electric motor recharge the battery, as does regenerative braking whenever you apply the brakes or lift your foot off the accelerator. Beyond its environmentally-friendly powertrain, Clarity Plug-In Hybrid is a well-equipped car with features like Honda Sensing safety suite, dual-zone climate control, Android Auto/Apple CarPlay integration, trunk/tailgate power lock/unlock, variable assisted steering, leather-wrapped steering wheel, universal garage door opener, and remote trunk release. It’s won the 2018 Kelly Blue Book Best Buy Award for electric hybrids. We’d love to set you up for a test-drive of the 2018 Honda Clarity Plug-In Hybrid. Our friendly customer service prioritizes your satisfaction, so stop in today! ** 110 combined miles per gallon of gasoline-equivalent (MPGe) electric rating; 44 city/40 highway/42 combined MPG gasoline only rating. 47-mile maximum EV mode driving range rating, 340-mile combined gas-electric driving range rating. Ratings determined by EPA. Use for comparison purposes only. Your MPGe/MPG and driving range will vary depending on driving conditions, how you drive and maintain your vehicle, battery-pack age/condition and other factors.